When you are staring your journey online via Blogging, you are bombarded with many blogging platform options. Starting from BlogSpot, WordPress, Tumblr and many more. Every blogging platform has their pros and cons. For example, Google-owned BlogSpot is a free platform, but it comes with many limitations. You don’t get access to make advance changes on your BlogSpot blog. Moreover, using a free BlogSpot blog is like “living in a rented apartment”, as Google own rights to delete your blog anytime. But, when it comes to self-hosted WordPress blog, you are the real owner, and it’s your responsibility to take care of your blog. Learn: What’s the difference between WordPress.com and self-hosted WordPress blog? WordPress is a free and open source blogging tool and a content management system (CMS) based on PHP and MySQL developed by Matt Mullenweg in 2003, since then WP has grown to be the best blogging platform in the blogosphere. 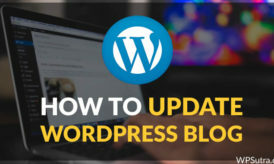 WordPress looks great, performs better, and it has all the security features that are making any blogger to use WordPress as their blogging platform. There are so many blogging platforms out there in the blogosphere like blogger.com, Typepad, Tumblr etc. Why should you consider using ONLY WordPress then? Here are the best reasons that will give you a better idea why you need to use WordPress as your blogging platform. There are thousands of plugins out there in the WP plugin directory. 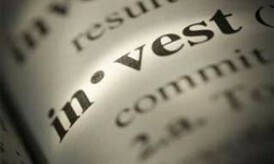 They offer a wide range of benefits to choose from. The functionality of various plugins in the WP plugin directory work like a charm according to your blogging needs. If there’s ONLY one reason for any blogger for using WordPress as a blogging platform on their sites, it would be the ‘usage of plugins’. All the plugins have tremendous support, functionality, and results. 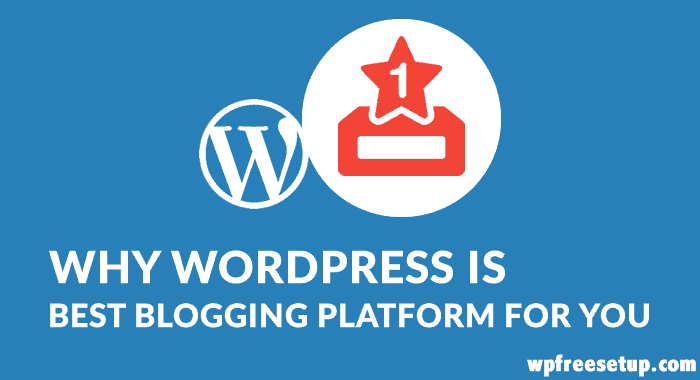 This makes WordPress the best blogging platform than any other platform. There are hell lots of free themes (which are offered by WP itself) available if you use WordPress as your blogging platform. That means if you are not satisfied with one theme, you can go for any other theme that you like. You can also use premium themes like Thesis, Genesis, Elegant, etc. to make your blog design more appealing. All these premium themes are very easy to customize, and they offer excellent support for their users. These themes are also optimized for the search engines, so you don’t need to worry much about optimization of your blog posts for the search engines. It would be very easy for you to get search engine traffic when you already have a search engine friendly theme, right? WordPress updates its versions very frequently to fix the bug problems or any other issues in the previous versions. Currently, WordPress is running on 3.5+ version that is easy to customize, more flexible to handle even for the people who don’t know much about the technical parts of a website. 90% of the professional bloggers use WP as their blogging platform. Why? Because they know how great WordPress is. They know the value it offers, and they also know how user-friendly the WordPress websites are. Many blog monetization platform, doesn’t entertain free blogging platform. For example, Buysellads, doesn’t entertain BlogSpot blog.If you are considering to build a better blog or if you want to make a living from your blogs, then you must consider using WordPress as a blogging platform on your blog. WordPress is well known for its security. If you have a WP blog, you have less chances to get your WP blog being hacked (yes, it’s still possible to hack a WP blog, but it would be the toughest job for the hackers and almost impossible if you take some security precautions on your sites). You can make changes in your databases, you can also tweak the PHP files of your WP sites to make it more secure and reliable. You can also learn how to secure your WP sites from the tutorials (there are tons of tips and tutorial available online to make your blog more secure). 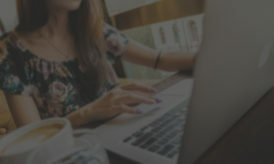 Moreover, you can timely take your WordPress blog backup, which will help you to restore quickly your blog in dark time. WordPress has one of the widest community around it. If you are stuck with any issue on your WordPress blog, you can take help of WordPress support forum. Moreover, there are great tips, tutorials and resources available online, which will be helpful if you are stuck. You don’t need to worry much about your blog when it needs support as the WordPress community has solutions almost for any problem that you face. Search engine optimization is the key to building any top blog, agree? If you don’t get search engine traffic to your blogs, it won’t last longer. You can climb the search results using WordPress platform. It offers great support to search engine optimization. When you use search engine friendly themes like Thesis, Genesis on WP platform, they both combined can bring you great search results in the long run. Unlike any other best blogging platform, WordPress offers great value to the users to optimize their blog posts for the search engines. I could go on and on, with benefits of WordPress, since I’m using it from last 3-4 years. If you are looking for a blogging platform, which is well maintained, and constantly updated with latest feature, WordPress is the best pick. If you still have any question regarding WordPress, feel free to let me know via comments. Great article! I totally agreed with you. When I started blogging 5 years ago I used Blogger. After realizing the limitations, I switched to WordPress and never looked back. It’s such a great, power tool. All of the websites I design are designed in WordPress because it gives the clients everything they want and more. Thanks for sharing. Nice article Harsh, want to understand one thing, I have tried most of the blogging platforms and undoubtedly wordpress is the best, however when it come to SEO, dont know why but blogspot hosted with a domain get advantage over wordpress. Do you also have same experience ? I am currently on blogger, but working on a wordpress set-up. It’s all installed, and I am now formatting it, and learning the software. I’m looking forward to making the switch. If you guys wanted to do a post on making the actual switch that would be helpful. I’ve downloaded my files easily enough. How do I switch over when the time comes, without losing my current subscribers? Awesome guide, thanks alot. keep sharing your thoughts and keep helping people.